We arrived in Durango, Colorado by pure happenstance two years ago. Today’s return was very deliberate. 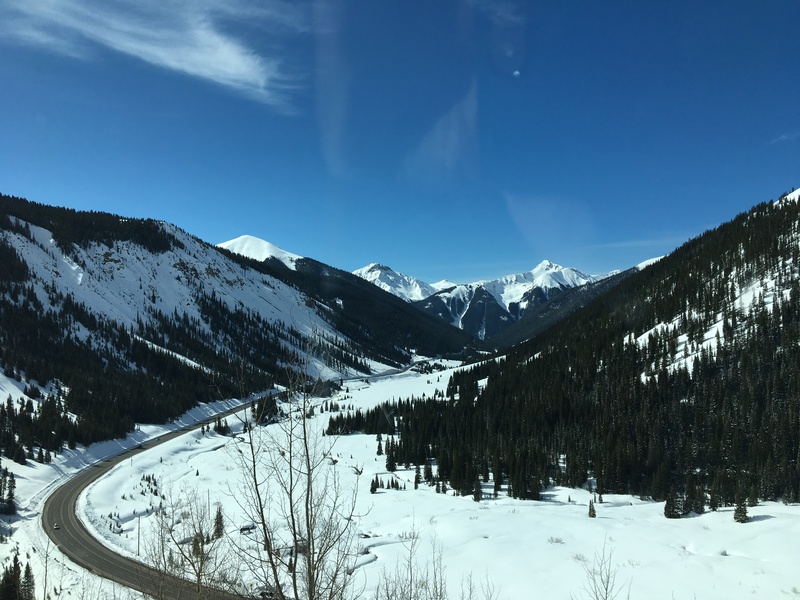 On our last visit, we took a short drive on the Million Dollar Highway, a 70-mile stretch through the Rocky Mountains with hairpin curves surrounded by snowy peaks in all directions. We vowed to return to complete the journey. We were selective about our plans. For days we monitored the weather reports, only intending to make the drive if we had a clear sunny day. Luck was with us, and with the promise of good weather we booked our room at the Adventure Inn once again. Over dinner last night, we eagerly shared our plans with our waiter. “You know, that road’s only been open for 4 or 5 days,” he said. It never occurred to us to check the snow conditions. At breakfast this morning, motel owner Nigel showed us videos of the double avalanche that blocked the road between Silverton and Ouray. Two massive columns of snow blew down the mountainside, taking trees and boulders down with it as it ripped through the forest. Crossing the road, it filled the 150-foot canyon below and “splashed” up the opposite side. 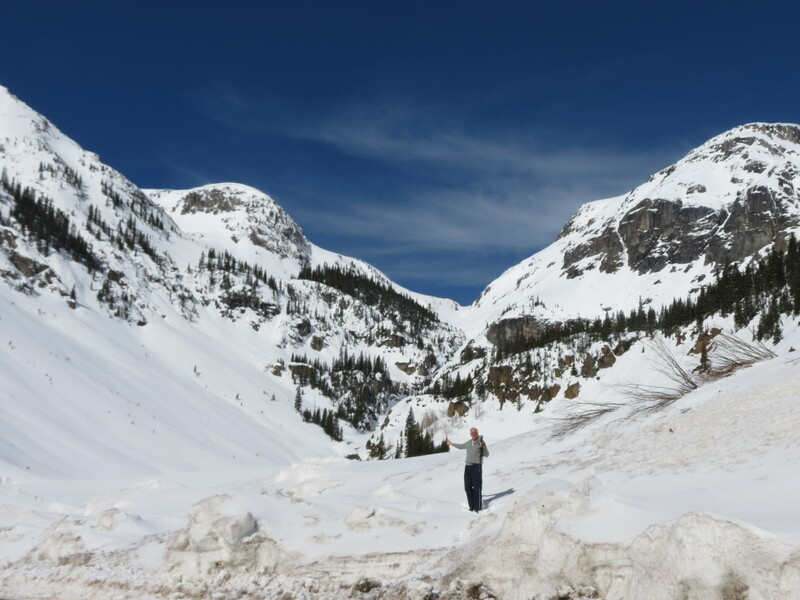 Leaving 60 feet of debris-filled snow on a lengthy stretch of the highway in the Red Mountain Pass, it took highway crews 20 days to reopen the road. Little did we know. Today we drove that highway under blue skies on perfectly dry pavement. 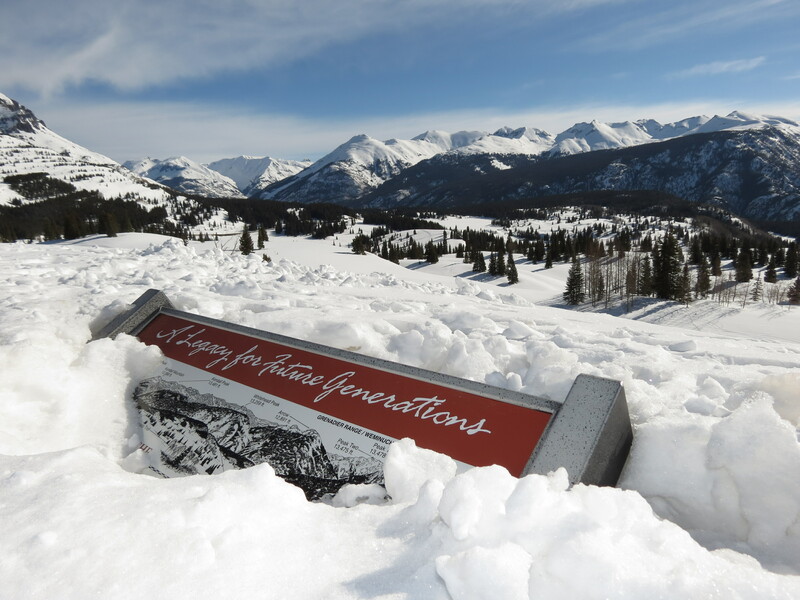 We had learned that they had record snowfalls this winter, topping 360 inches. It was still very much in evidence even on this April day. With each turn of the road, we had more snowy peaks to admire. 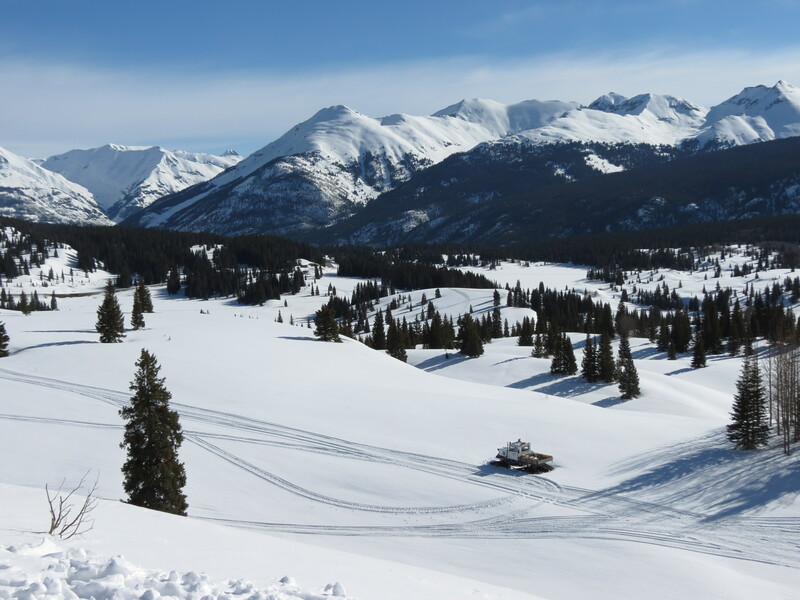 At our elevation, the snow was pristine with only a few snowmobile and ski tracks crossing its silky mounds. Occasionally I could make out curvy trails through the mountainsides, evidence of some intrepid skiers enjoying pure powder. The wintry journey from Durango to Ouray was well worth the return trip. With the avalanche video replaying in my mind, I had renewed respect for the seemingly pastoral scenes passing outside my car window. Million dollar views indeed. 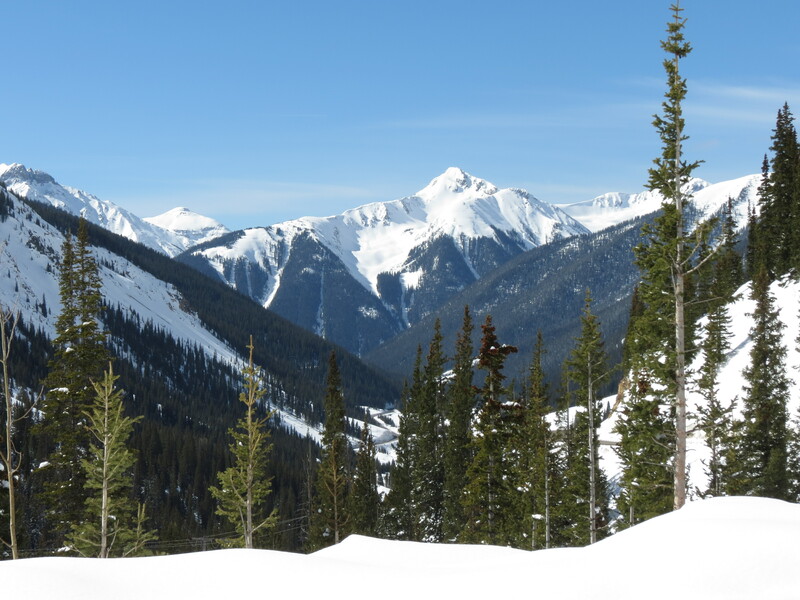 This entry was posted in Outdoors, Travel and tagged Outdoors, Rocky Mountains, Snow, Travel by Molly. Bookmark the permalink.